An Ontario mother allegedly tested positive for cocaine, alcohol and other drugs after her car was caught up in floodwaters, sending her three-year-old son to his eventual death, a court document suggests. Michelle Hanson was charged last October with impaired driving causing death, dangerous driving causing death and criminal negligence causing death in connection with the death of Kaden Young early in the morning of Feb. 21, 2018. Hanson had been driving to her home near Waldemar, Ont., during stormy weather. 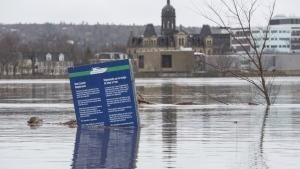 The nearby Grand River was swelling its banks. Police have said that Hanson’s van became stuck in the water after she drove past a road closure sign, and that she told investigators her son slipped from her grip as she tried to pull him to safety. Young’s remains weren’t found until two months later, when they were discovered by a fisherman 13 kilometres downstream of Waldemar. The boy was determined to have died by drowning. Hanson’s charges remain before the courts. Also working through the court system is a separate proceeding relating to a family matter involving Hanson. A document filed as part of the family proceeding alleges that toxicology tests found cocaine, alcohol, Percocet and OxyContin in Hanson’s system at the time of Young’s disappearance. The document also claims that Hanson had left her home to buy cigarettes and brought Young along because car rides often helped him fall asleep, and that she denied being impaired at the time of the incident while talking to Child and Family Services workers. None of the allegations against Hanson have been tested in court. Her lawyer, Marco Forte, said in a statement that he doesn’t believe cocaine was in Hanson’s system and that the tests only showed traces of the painkillers – amounts small enough to be consistent with prescription drug use. “Michelle Hanson is not guilty of any criminal behaviour, notwithstanding her deep regret and sorrow,” Forte said. 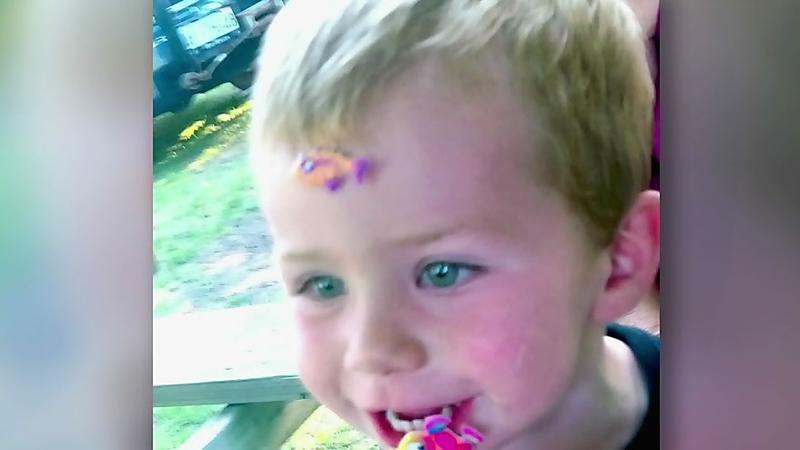 Kaden Young, 3, is shown in an undated Facebook image.